Clubs & Assoc: Registered Life member (445) with the Feline Control Council of Victoria. 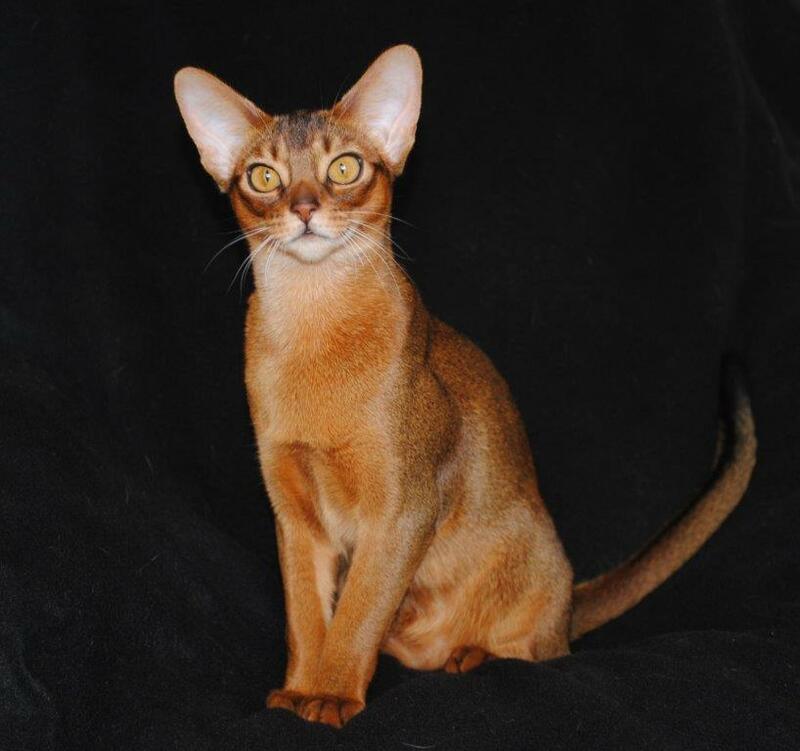 Member of the CCCof A - The Abyssinian Breeders Club. We test for Feline leukemia virus (FeLV ,feline immunodeficiency virus (FIV). We also test for breed related problems such as Progressive Retinal Atrophy (PRA), Erythrocyte Pyruvate Kinase Deficiency (PK Deficiency), Blood incompatibility. We do not knowingly work with lines that will produce genetic problems. We believe that the health of our cats comes before everything, and we are known for producing healthy cats and kittens. 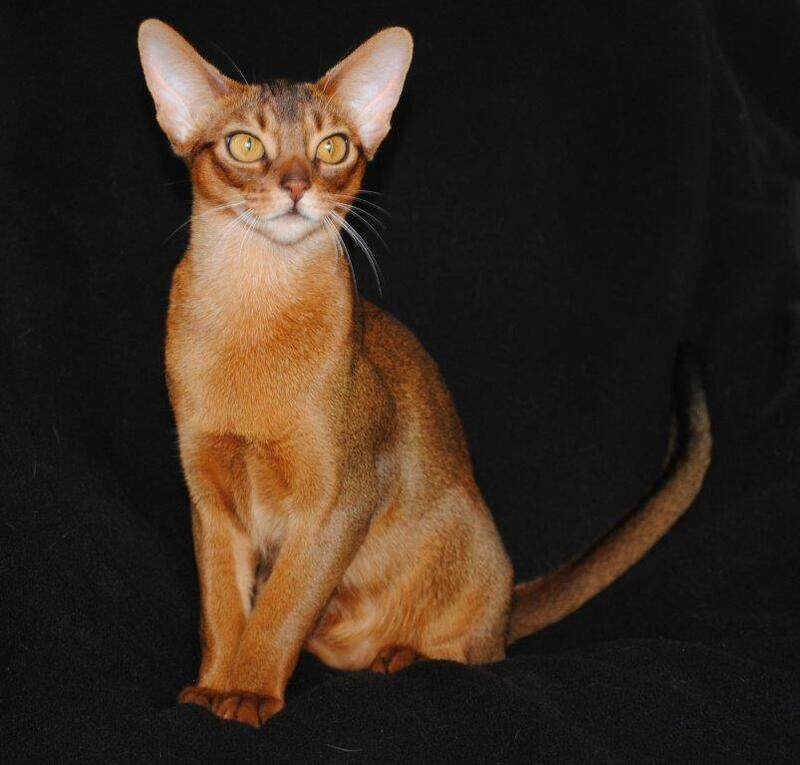 Our breeding cats are only used in a breeding program for a very limited period. This enables them to be desexed and re-homed as a loved pets. Merindalee kittens are born and spend their first few weeks in our bedroom. Once they tumble out of their kitten box, they go into the kitten room (in our home) to be litter trained and weaned . Once they are fully litter trained (usually about 8 weeks), they spend most of their day playing and having TV and lap time in the main part of our home with us. They go to new homes after 12 weeks of age with good temperaments and used to all the household noises and being handled. We encourage buyers to fill out our questionnaire before any sale. 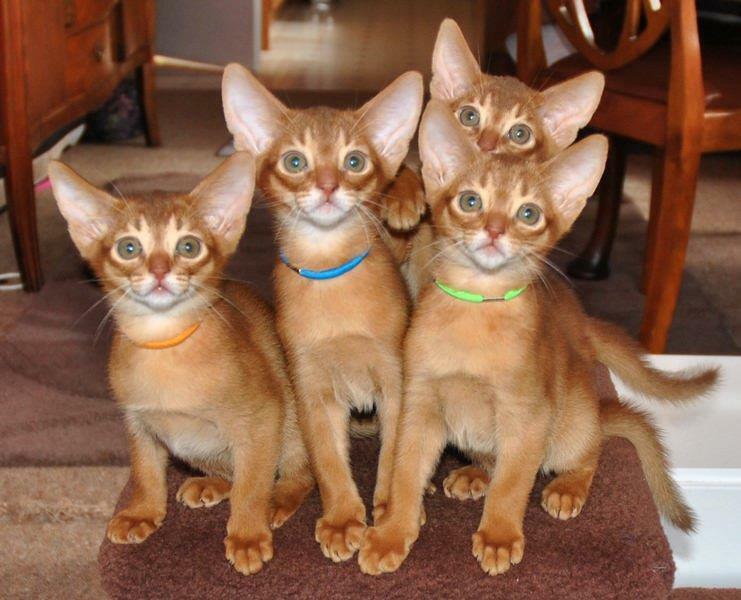 Should we feel the buyer is suitable, we then reserve a kitten for them. When our kittens have had their first vaccinations and vet check, buyers are then invited to visit for the first time (around 8 weeks). During this visit we ask questions of the prospective buyers to enable us to gauge their suitability and we encourage them to do the same of us. 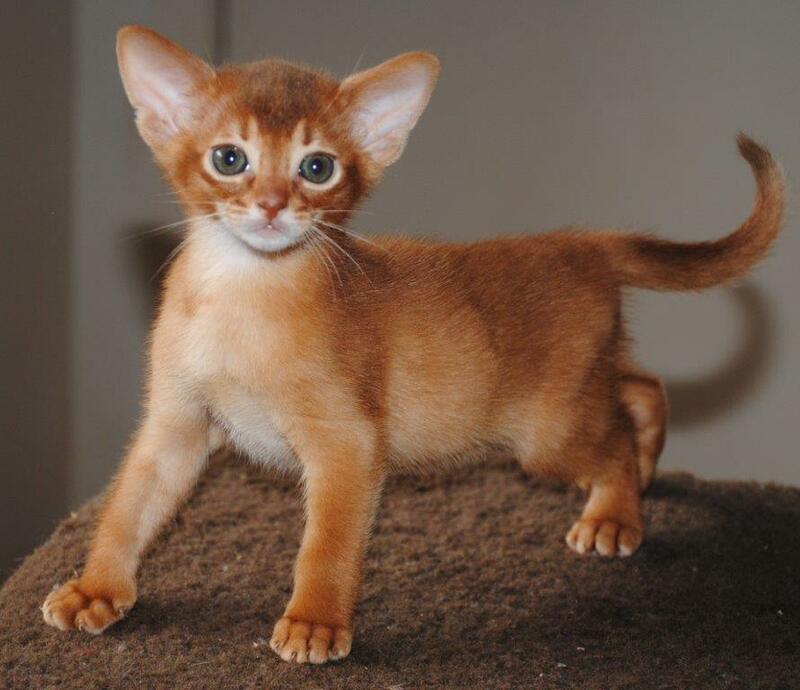 Should we deem the buyer unsuitable, or we feel the Abyssinian breed is not suitable for their lifestyle, we advise them accordingly. No Merindalee kitten goes to their new pet home before 12 weeks of age. They go vet checked, wormed, desexed and microchipped. The also go with a certified pedigree, vaccination card and diet sheet. Kittens never leave us with any health issue that we are aware of. 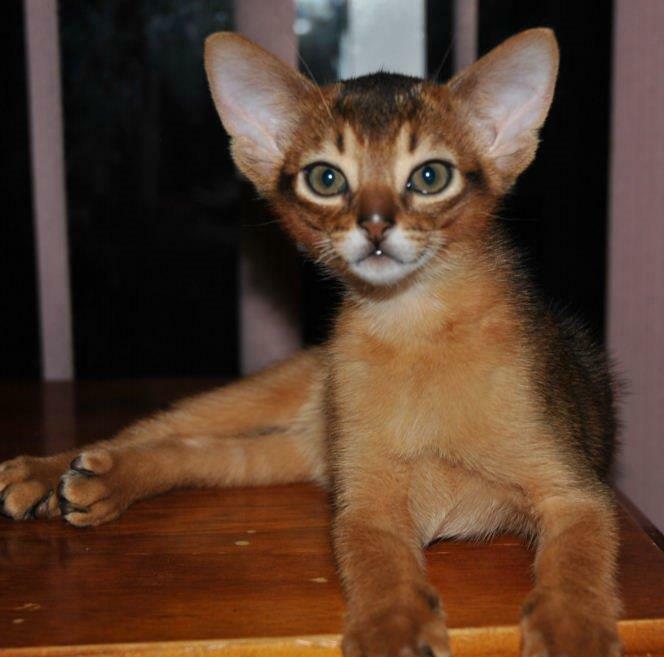 We suggest that the buyer has their kitten vet checked by their own vet within the first few days. This is to establish a rapport with their own vet and for their own peace of mind. Any later health issues are always dealt with accordingly. .
We feel that it is our duty to place our kittens into loving and caring homes. We are putting their future health and well-being into someone else's care for a lifetime. We therefore ask many questions of our buyers and it is our policy not to entertain anyone we feel will not care for our kittens in the correct way. Buyers can contact us any time for advise. If the matter is urgent, we encourage them to seek a vet or where they can contact our vet outside of hours. 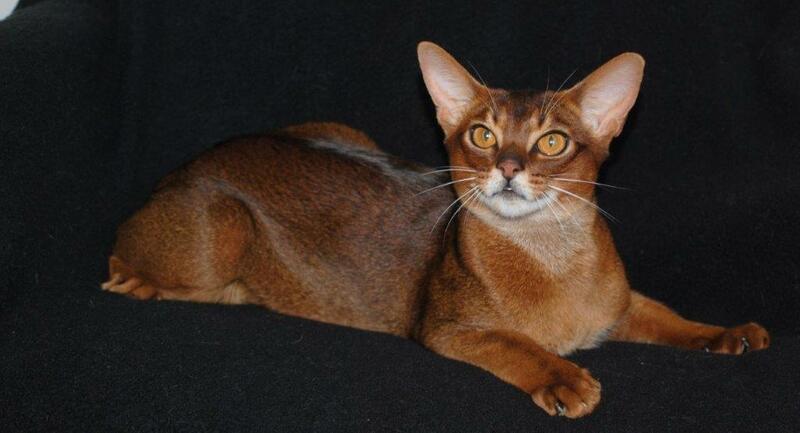 We often have people looking for an older Abyssinians. If someone needs to re-home their Aby, we therefore put them in touch with each other. If this is not feasible , we will advertise the cat on our own website. If all else fails and the re-homing is urgent we will take the cat back and re-home them ourselves. It is always better and less stress for a cat to go from one home straight to another if possible though. 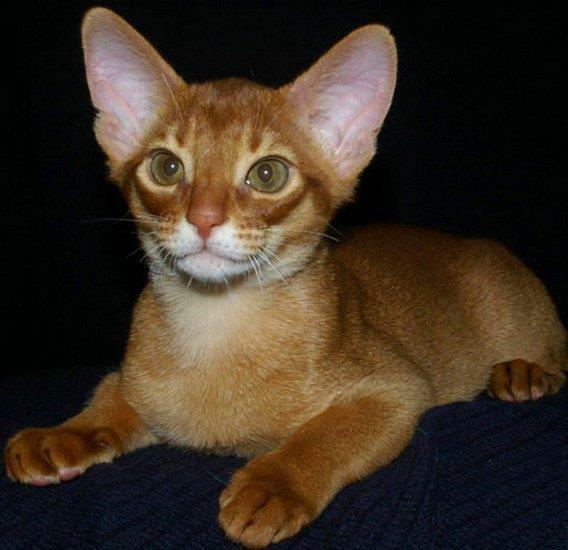 Abyssinian cat & kitten breeders in Victoria Australia since 1975. 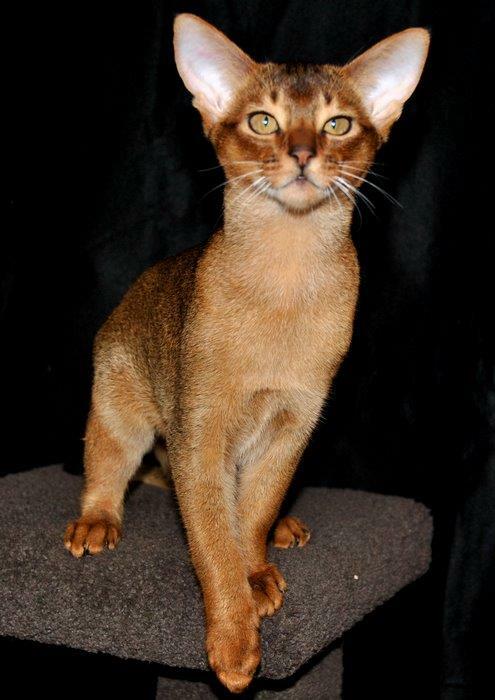 We show under the prefix Merindalee, having won many cat & kitten of the year and supreme in shows awards both Internationally, Interstate and Locally. 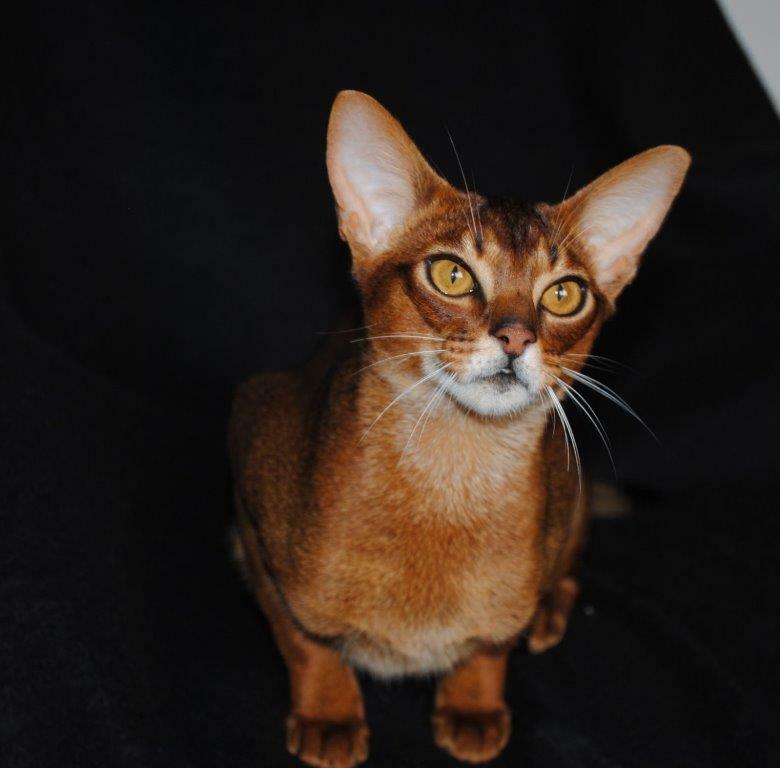 We have exported to many countries and our Abyssinians are known and shown successfully around the world. 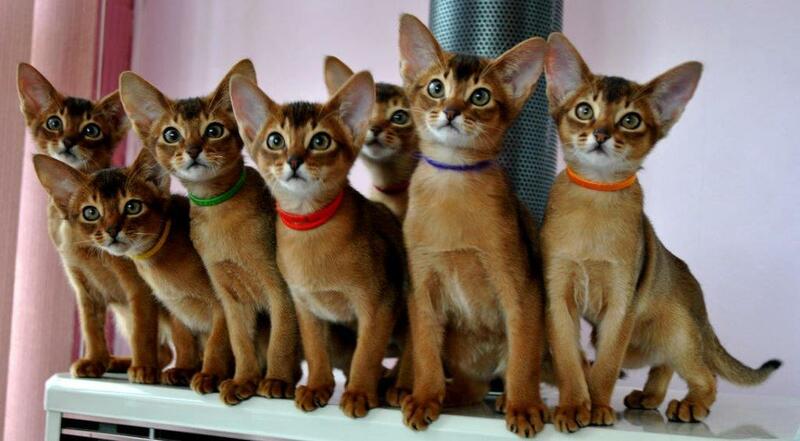 Life members of the Abyssinian Cat Club of Victoria established by us in 1974. We often have companions as well as show kittens available to the right homes and we pride ourselves on their quality, health and temperament. Companions leave, desexed, micro chipped and vaccinated with full care instructions. We always offer an after sales service.